Barrier Air is a 100% New Zealand owned and operated airline operating scheduled passenger and freight services from Auckland ,North Shore, Great Barrier Island and Whangarei. 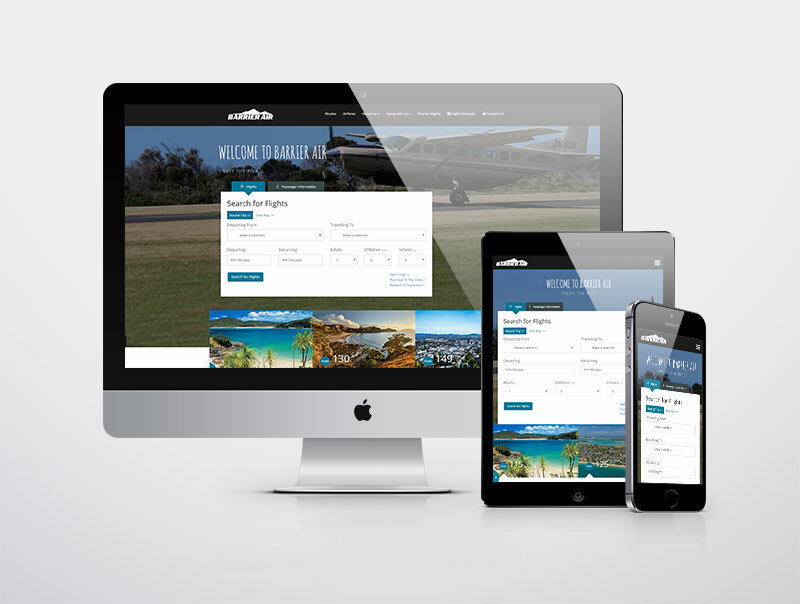 After engaging Takeflite as their airline software partners Barrier Air also started working alongside the creative design team to build a website attracting passengers to travel the Great Barrier and upper North Island region. Their website integrates with the Takeflite powered Internet Booking Engine pulling real-time data from the available schedules within the Takeflite Enterprise Software.